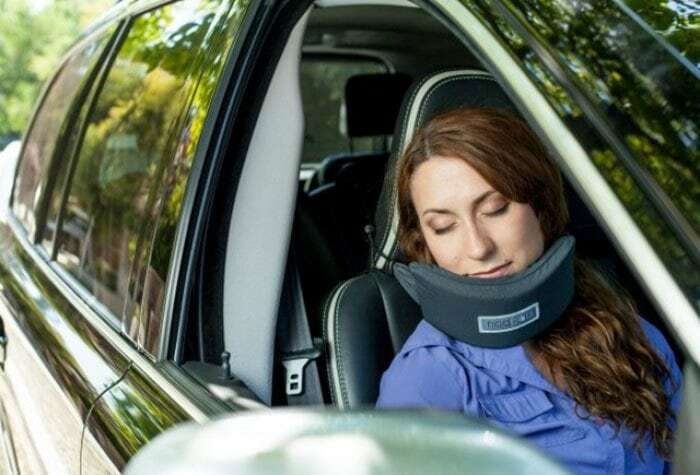 Those of us who fly or ride frequently are familiar with the dilemma of trying to get your head comfortable enough for you to fall asleep amid your journey. We lean it to the right and lean it to the left, but somehow we’re still utterly uncomfortable. Paula Blankenship has had it with that battle. 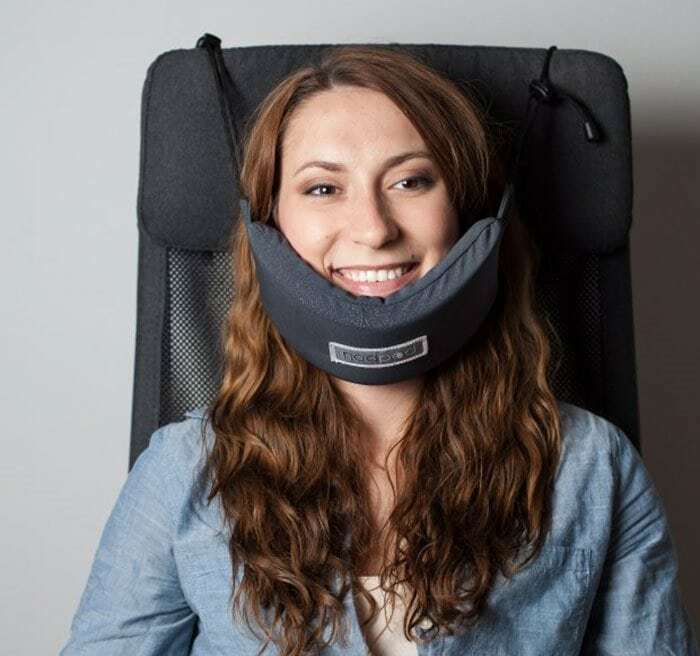 She’s invented the NodPod, a hammock for your head. 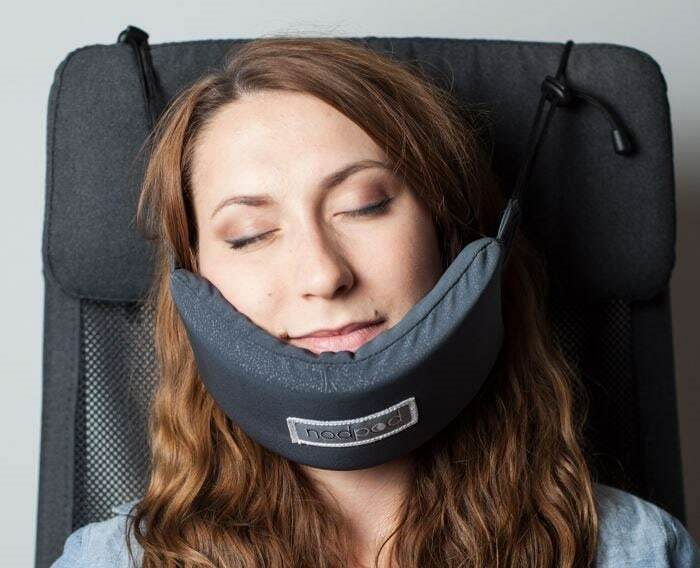 This cool head hammock will get you snoozing on a plane or in a car in no time, without the fuss. 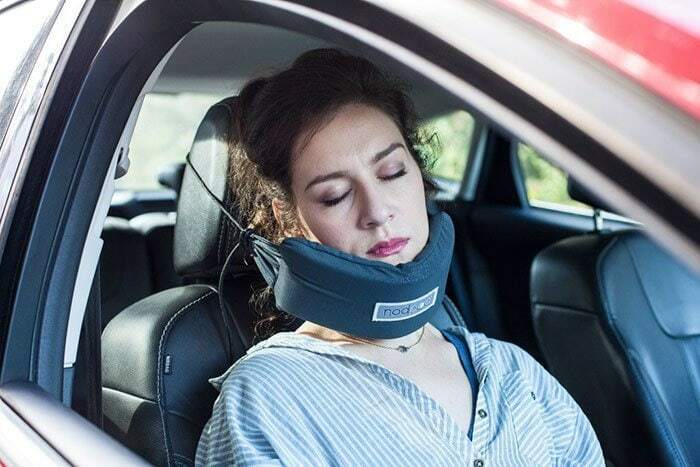 The NodPod recreates the way you sleep only your head is in an upright position. It was successfully funded on Kickstarter and you can pre-order one on her website for about $27 here.